Land Rover continues to celebrate 25 years of Discovery with the option for customers to add striking features from the XXV Special Edition anniversary model revealed earlier this year. In-car technologies also receive a boost with the introduction of Land Rover InControlTM Apps into a number of key markets, whilst the 3.0-litre V6 Supercharged petrol engine maintains its promise to deliver fuel efficiency benefits.These enhancements are available to order on the Discovery now with customer deliveries starting from September. "To mark 25 years of Discovery, Land Rover offered more premium luxury in the form of the XXV Special Edition. Striking attributes from this anniversary derivative are now being made available across the range for our customers to bring that level of heightened luxury into their Discovery of choice," said Phil Popham, Jaguar Land Rover Group Marketing Director. "InControl Apps adds another dimension to the Discovery's attributes and another meaning to work-life balance by enabling safe and efficient access to essential smartphone content and in-car apps from the vehicle's touchscreen," he added. 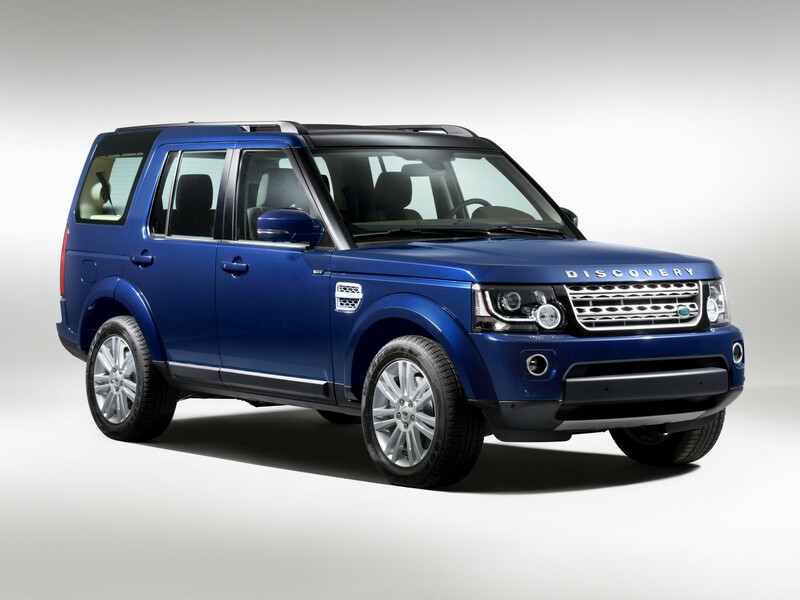 The XXV Special Edition Discovery built on existing levels of luxury from the HSE derivative. Customers can now bring that added touch of luxury to their Discovery of choice with the option of the distinct Ebony/Cirrus Dual-tone Windsor Leather seats and the Grand Black Lacquer wood and leather-wrapped steering wheel. A new Straight Grained Walnut wood and leather steering wheel also becomes available, with respective wood veneer sets offered as an additional customer option with both steering wheel designs to further enhance the premium feel of the interior. The exterior can also be enhanced with the addition of the XXV 20-inch 5-split spoke forged alloy wheels with a light silver polished finish, increasing the number of 20-inch wheel styles to four. New body colours also become available. Aruba, Kaikoura Stone and Montalcino Red will be offered from start of sales followed by a new metallic white called Yulong joining the range at a later date. Land Rover InControlTM Apps is introduced into a number of key markets as a customer option to complement the Discovery's existing infotainment system and provide the ultimate for in-car connectivity. It brings the convenience, familiarity and original look and feel of compatible smartphone apps into the owner's vehicle, which are displayed and controlled from the vehicle's touchscreen. This technology has been developed with some of the world's leading smartphone app developers and is compatible with the latest Apple and Android smartphones. Optimised for in-car use, Land Rover InControlTMApps offers services such as satellite-navigation, media streaming, internet radio and location services, whilst also providing easy access to the connected smartphone's contacts, calendar and music library. Compatible apps include Stitcher, Glympse, Sygic, Parkopedia, Hotelseeker, Cityseeker, Eventseeker, News on Board and MobileDay, the latter enabling one-touch access to voice conference calls without the need to dial a number. The range of apps is being continually expanded, with new content available every time the apps update. The owner must download Land Rover InControlTM Apps to their smartphone from either the Apple App Store (for iPhone 5 and later) or Google Play (for Android version 4.0 and later). Once the phone is connected to the vehicle's dedicated USB port, the owner simply taps the InControl Apps icon on the central touchscreen and selects the desired vehicle-compatible app from the menu. The Land Rover Discovery continues to drive power and all-terrain capability with efficient diesel and petrol engine options when matched with fuel-stretching Stop/Start technology and the refined ZF 8-speed automatic transmission. The 3.0-litre V6 Supercharged is the petrol engine of choice for the Discovery, generating 340PS@6,500rpm (250kW) with 450Nm of torque. Combined CO2 emissions stand at 269g/km, down from 328g/km on the 2013 model year 5.0-litre V8 petrol which delivered 20.1mpg (14.1 l/100km). Fuel consumption on the 3.0-litre V6 Supercharged sees this figure improved to 24.6mpg (11.5 l/100km). The 211PS (155kW) 3.0-litre TDV6 remains the diesel engine entry level option, delivering 36.2mpg (7.8l/100km) and a CO2 figure of 207g/km on a combined cycle. The higher-powered 256PS (188kW) 3.0-litre SDV6 gives an equivalent fuel consumption figure of 35.3mpg (8l/100km) and 213g/km. The Discovery is equipped with the rotary gear shift selector and steering wheel-mounted paddle shift and controls, now available with optional Adaptive Cruise Control to allow the driver to maintain a gap between them and the vehicle ahead for more relaxed motorway driving. Customers continue to have the choice of the newer single-speed transfer box or twin-speed, with the latter offering high and low range for the most demanding off-road conditions. 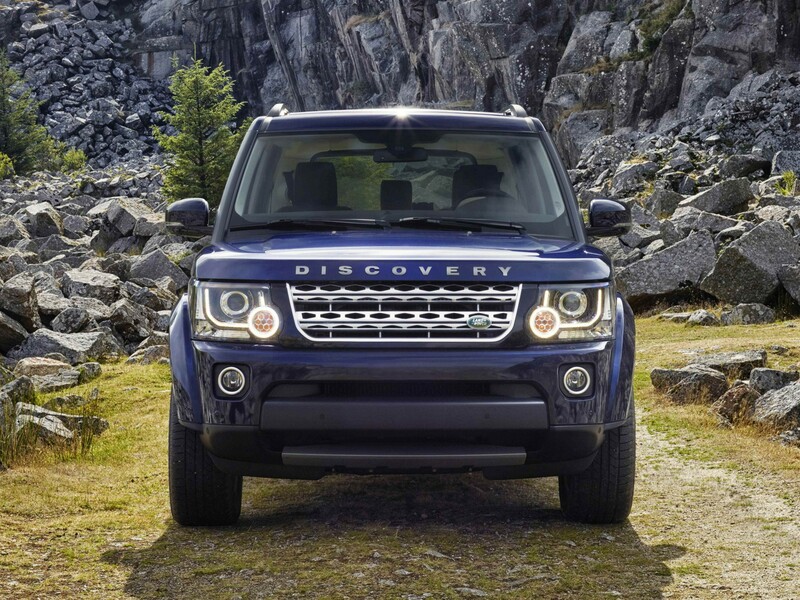 The Discovery retains its position as the ultimate all-purpose vehicle with over 1,100,000 retail sales and 219 international awards since its launch in 1989, commending both its breadth of capability and versatility attributes. A true 7-seater with stadium seating and the capacity to carry gear in a variety of configurations, the Land Rover Discovery adapts to suit any occasion and any terrain with ease. Upgraded models available to order now with UK deliveries from mid-November. Whitley, 3rd September 2013. 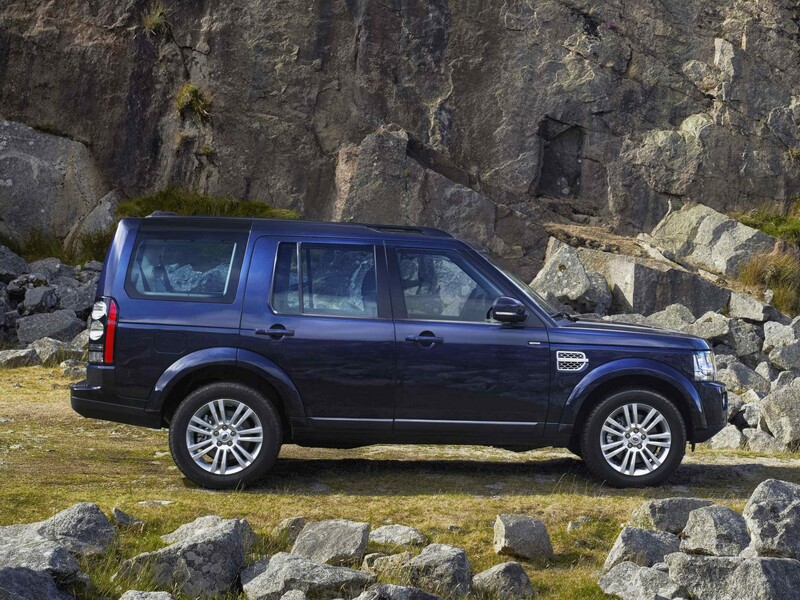 Land Rover announces upgrades to the multi-award winning 2014 Discovery. The 2014 Discovery receives a new look, new badging, new fuel stretching technology , improved audio systems and a new range of driver assistance, comfort and safety features to broaden its appeal even further. The core attributes are carried over into the 2014 models which will be available to order now with deliveries from mid-November. “The hugely popular Discovery continues to move from strength to strength and the addition of improvements in fuel economy and emissions underpins our commitment to delivering power with sustainability. As one of the world’s most stylish, capable and versatile SUVs, the Discovery is the perfect vehicle for people who enjoy living an active lifestyle to the full,” said Land Rover Global Brand Director, John Edwards. 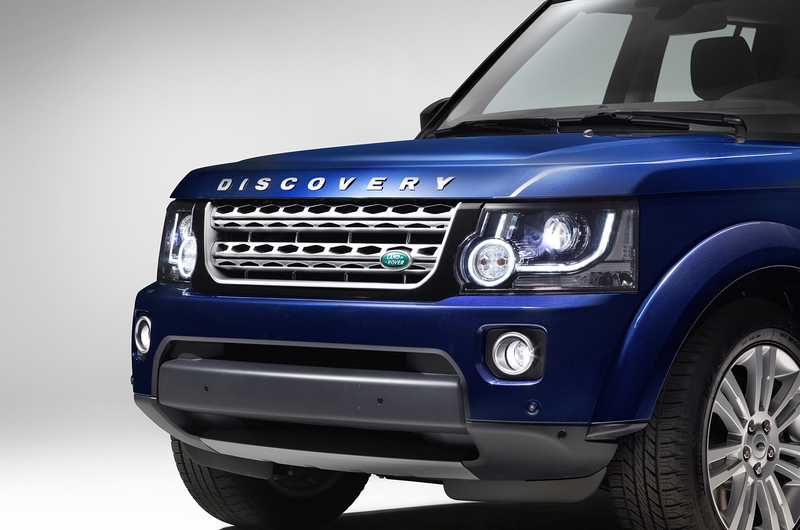 For 2014, Discovery has been given a new ‘face’ and numerous detail exterior changes. A new front grille, new front bumper, new headlamp design , new daytime running lights with a distinctive LED signature, plus two new alloy wheel designs, further enhance the Discovery’s appearance. To give vehicles a heightened level of distinction, the optional ‘Black Design Pack’ remains available for 2014 models, with revised detailing, plus 20-inch black alloy wheels. Engine badging moves from the tailgate to an ingot mounted on each of the front doors. This sidebadging will reflect the engine type and appear as ‘SDV6’ in the UK market. In the USA and the Middle East the vehicle’s badging will remain as previous models. Underlining Land Rover’s commitment to power with sustainability, the 2014 Discovery will continue to be available with the class-leading 256PS 3.0 SDV6 – with CO2 emissions reduced from 230g/km to 213g/km, and fuel consumption improved to 35.3mpg. All models are equipped with an eight-speed ZF automatic transmission. The new range of driver assistance, comfort and safety features for the 2014 Discovery include: Wade Sensing (a technology unique to Land Rover), Blind Spot Monitoring, Closing Vehicle Sensing, Reverse Traffic Detection and T-junction Cameras. To align the 2014 Discovery with other Range Rover vehicles, it will be available with Meridian premium audio. The standard system features 8 speakers and 380 Watts of power, while the Meridian Surround system produces an impressive 825 Watts output and features 17 speakers. Beh, si dai, io lo trovo migliorato rispetto a prima; il Discovery è sempre un gran bel mezzo, ma personalmente preferisco le protezioni in plastica di quello che si chiamava Discovery3, più cazzuto e meno elegante. IMHO dovrebbero scrivere YREVOCSID un po' come AZNALUBMA, no? scherzi a parte, questa discovery mi sembra, per ora, l'unico sopravvissuto della gamma LR che non si è imbruttito con quel processo di "evoquizzazione" che ha travolto i poveri range. Il Discovery ha successo perche' e' il solo SUV non enorme che puo' sedere 3 adulti nella seconda fila su 3 sedie separate e 2 bambini comodi sulla 3 fila. Nuovi motori, nuovi interni, nuovo muso e culetto. Insomma un bel rifacimento per la Megane.